Israeli media reported that the Israeli forces had deployed three military brigades and an artillery battalion, and announced the deployment of 200 snipers along the border with the Gaza Strip. Raji Sourani, PCHR’s Director, commented on recruiting snipers, said, “The decision to deploy the snipers in itself was one of the most prominent evidence that we confirmed before and during the Return March. He said that the deployment of snipers reflected a decision to deal with demonstrators with fire and an intent to kill and injure as the sniper sees the target and is armed with the technology which ascertains him the nature of the target: a child, woman, person with disability, Journalist or paramedic. Over one year, the Israeli forces violently dealt with the peaceful demonstrators and used lethal force against them in circumstances where no threat was posed to the life of the Israeli soldiers. They fired live, explosive and rubber-coated metal bullets in addition to teargas canisters. Moreover, the Israeli forces deployed drones to open fire and even snipers to target demonstrators directly either by killing or wounding them. During the period from 30 March 2018 to 28 March 2019, the Israeli crimes against the demonstrators in the Great March of Return and Breaking the Siege resulted in the killing of 196 demonstrators, including 41 children and 2 women, and the injury of 11,427 civilians, including 2206 children and 344 women, in addition to injury of thousands with tear gas canisters. Further, the injury of hundreds were reported serious, and 114 civilians had their limbs or parts of their limbs amputated. Moreover, Among those killed, there were 8 persons with disabilities. Moreover, the Israeli crimes affected journalists and medical personnel though they were clearly marked as such while practicing their work in the Return March locations. The Israeli forces killed 2 journalists and 3 members of the medical personnel in addition to wounding hundreds of them. According to PCHR’s investigations, hundreds of civilians who were killed and wounded were shot by the Israeli snipers in a direct and deliberate attack against civilians, including Journalists and medical personnel who are protected under the International law rules. 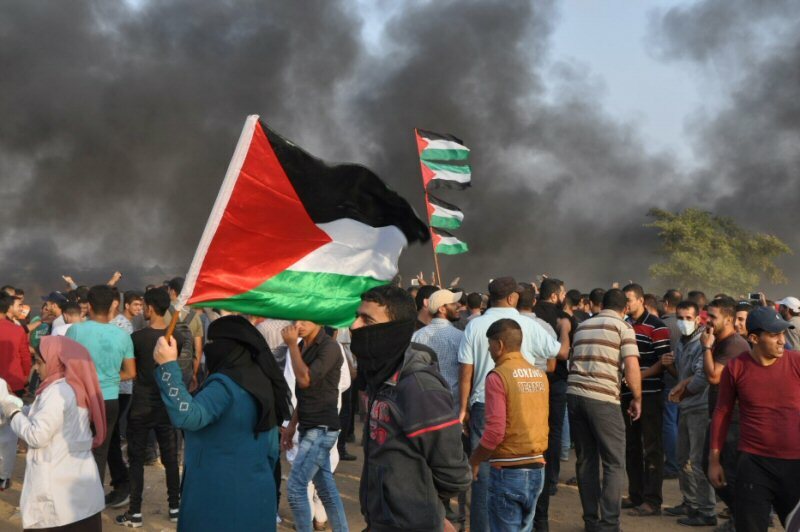 The Independent Commission of Inquiry on the 2018 Gaza protests disapproved the targeting of the “inciters” as so-called by Israel and considered such acts as unlawful. For further information please visit our website (http://www.pchrgaza.org) or contact PCHR’s office in Gaza City, Gaza Strip by email (pchr@pchrgaza.org) or telephone (+972 (0)8 2824776 – 2825893).